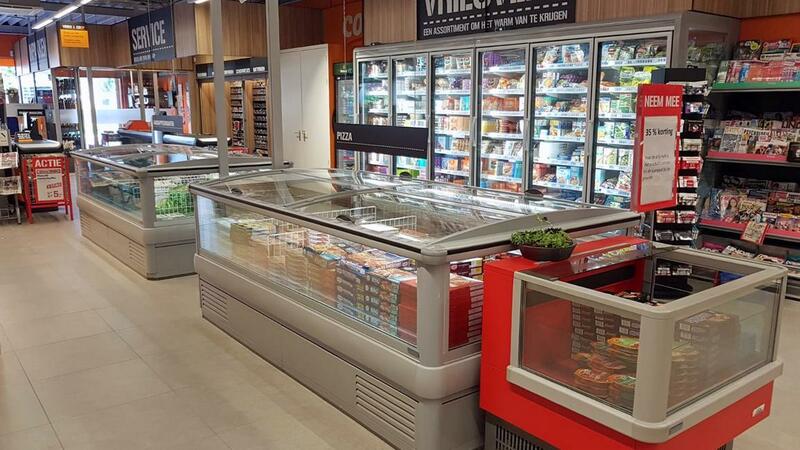 FREOR continues developing sustainable solutions for commercial refrigeration that not only reduce environmental impact but also help customers reduce their energy consumption. We are glad to present our new product – the first island freezer operating on natural refrigerant propane – LEDA Plug-in R290 by FREOR. 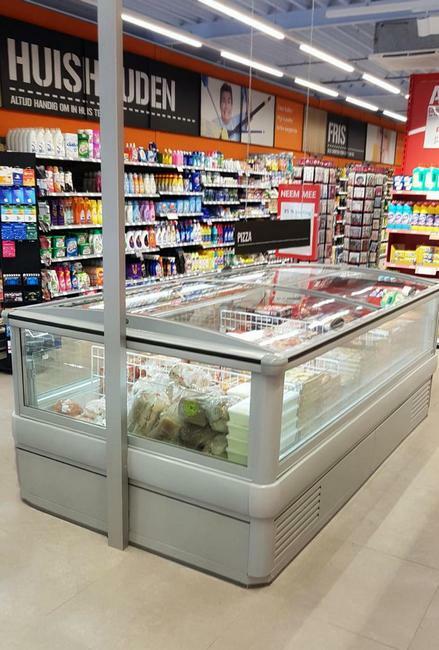 The modular design of the horizontal freezer allows combining individual units into the lines of various lengths without using the end walls. End-cases can be used to display special promotions to help enhance merchandising. 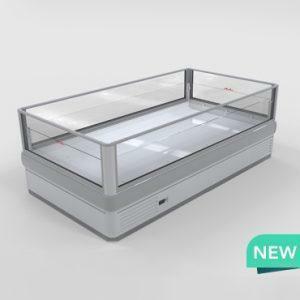 The new LEDA provide maximum product visibility from every angle, as the product display area is surrounded by glass walls as in the remote model, enabling customers to look directly into the cabinet. This results in an increased impulse purchasing. The propane operated LEDA R290 freezer can operate autonomously or be connected to Hydroloop system to remove the excess heat via glycol line. In both options, refrigeration process consumes significantly less energy. Natural refrigerant propane R290 is a great future alternative to traditional HFCs, which are being gradually phased out in EU. It ensures perfect cooling performance with minimal energy usage and has low GWP (global warming potential) of 3. LEDA R290 Plug-in has a built-in compressor, which allows individual refrigeration process with a very small amount of refrigerant required. The hermetically sealed system ensures close to zero refrigerant leaks, so there is no need for a frequent refrigerant recharge. The separate compressor in each unit ensures that a failure in one piece of a unit does not affect the whole freezer island line, so the potential loss of products is minimized. 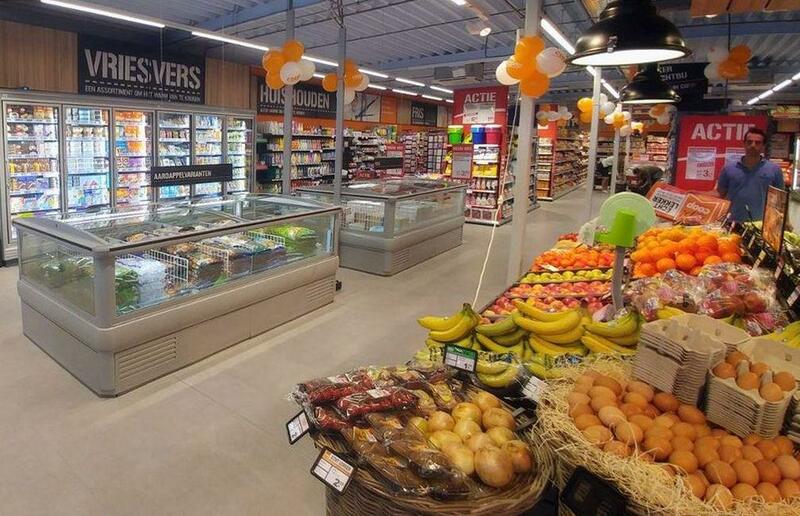 The new product has already been chosen by renewed COOP store in Nederhermert, the Netherlands, which offers its customers a wide range of different fresh and frozen products. 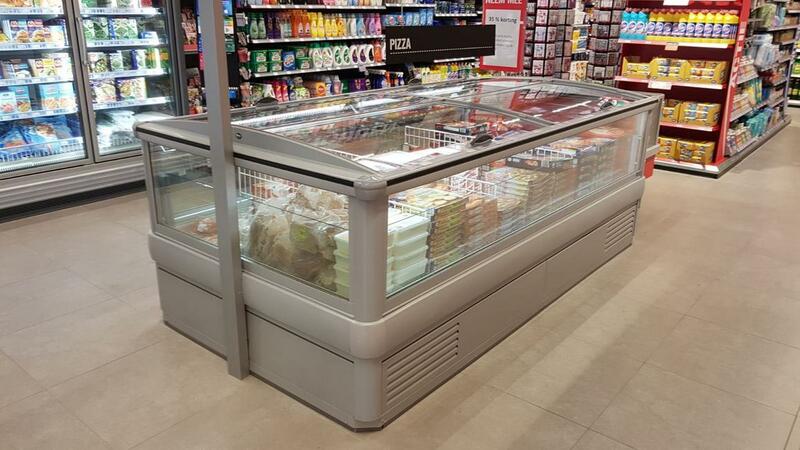 The 2 units of LEDA R290 with inverter compressors were provided amongst other refrigeration equipment by FREOR.